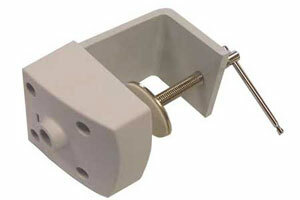 Spare parts for Magnifying Lamps - Large white Table Bracket. * Desk top, Clamp and Floor stand light models available. * All Magnifiers with Light models and accessories can be inspected at our Canberra store.